On a quiet day here in the States – with nearly all markets closed for President’s Day – I want to take advantage of the “relative peace” to hammer home one of the MOST IMPORTANT INVESTMENT THEMES OF OUR LIFETIME. I spend 99% of my time writing about the need to think defensively, i.e. not of increasing one’s wealth but protecting it – although owning PHYSICAL gold and silver will certainly achieve both targets. However, I still have two decades of financial markets in my blood, and thus it is hard to suppress my excitement about the inevitable silver breakout to all-time highs, in what will historically be viewed as the ULTIMATE TRIPLE-TOP BREAKOUT. Below is a table depicting historical silver prices dating back 700 years, the first 600 of which constituted the era of global silver monetization. At some point during this period, nearly every nation utilized silver as LEGAL TENDER – including the U.S. – establishing it as money across myriad nations, continents, and cultures. 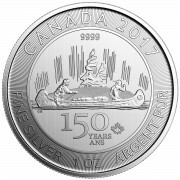 Before the U.S. “gold rush” of the mid-1800s, silver had spent a century trading in the $50-$100/oz range, after adjusting for pre-1998 inflation. This chart concludes in 1998 (ironically, with Warren Buffet’s fabled 140-ounce purchase, since “prematurely sold” by his words), but one can clearly see the $10-$50/oz trading range from roughly 1900 until the gold standard was abandoned in 1971, a MASSIVE RESISTANE LEVEL on the verge of being breached. Also notice the gold/silver ratio, highlighted in gold. As you can see, it hovered around 15:1 for close to 500 years, a monetary construct based on the amount of silver and gold actually produced. In other words, for centuries the ratio of silver ounces produced to gold ounces produced was close to 15:1, although TODAY it has fallen to 9:1 due to silver’s increasing relative scarcity. In the early 1900s, silver prices plummeted from the $50-$100/oz range they had traded at for the prior century when major silver discoveries occurred in Nevada and Idaho, enabling inventories to soar until the mid-20th century. Unfortunately, that’s when “peak silver” occurred, yielding not only depletion of essentially ALL the world’s silver inventories in a 60-year period (to less than one billion ounces of above ground inventory today), but industrial demand exploded due to the white metal’s unique properties, making it the second most widely used commodity (after crude oil) on earth! When the Bretton Woods era officially ended in August 1971, the gold/silver ratio counter-intuitively rose from the 20-30 range of the late 1960s to 100 in 1991. Given the aforementioned trend in global silver inventories, and soaring monetary demand following the breakdown of the London Gold Pool in 1968 and rising inflation fears, it is difficult to surmise any other reason for a rising gold/silver ratio than Cartel manipulation, demonstrating just how long it’s been ongoing, and how pervasively. Since the cyclical PM bear market ended in 1999, the gold/silver ratio has averaged closer to 50:1 (where it stands today), but that KEY ROUND NUMBER is starting to look A LOT like a long-term resistance level in the process of a BATTLE ROYALE with the Cartel. I believe this ratio will have difficulty rising significantly above 50:1 in the coming months, and at any time could plummet to the May 2011 low of 32, eventually targeting the 1980 low of 18 in the coming years, and potentially 5:1 when the Precious Metal mania peaks, and silver supply DISAPPEARS. When writing of the impending “ULTIMATE TRIPLE TOP BREAKOUT,” I have always referred to the upcoming “third prong” of the MASSIVE, 32-YEAR “rounded bottom” formation forged by three decades of manipulation. I have NEVER seen such a powerfully bullish, long-term formation in my entire career – nothing even close – and given the “Perfect Storm” of supply and demand fundamentals, I can see why silver is the first to EVER have this appearance. That said, if you go back to the major silver discoveries of Nevada and Idaho in the early 1900s, one can see the KEY ROUND NUMBER of $50/oz actually has resistance going back MORE THAN A CENTURY, creating not a 32-year triple top breakout but a 112-YEAR, QUADRUPLE TOP BREAKOUT! I’m no chartist, but something tells me the “upside target” of such a convincing breakout would easily top the inflation adjusted all-time high of roughly $800/ounce, circa 1500 AD. Then again, this should be no surprise to long-term readers. My gold price forecast is based on the OVERT money that has been printed since we abandoned the gold standard in 1971, at roughly $15,000-$20,000/ounce. An estimate, by the way, corroborated by the research of numerous others in the field, such as Jim Sinclair and Mike Maloney. Given that my gold:silver ratio target is between 5:1 and 15:1, my absolute silver target price is $1,000-$4,000/ounce (in TODAY’S DOLLARS, assuming no further MONEY PRINTING – LOL). When silver was $800/ounce (in 1998 dollars) circa 1500 A.D. (the days of Hernan Cortez), Precious Metals were undisputedly the ONLY forms of universally recognized MONEY. Given the economic Armageddon I anticipate will engulf the entire civilized world this decade, plus an additional 6+ BILLION of global population fighting for an increasingly scarce silver resource, I believe my initial (pre-hyperinflation) price target makes a great deal of sense! Not sure how much sense $1000-$4000 silver makes unless you are talking about massive inflation in all prices at the same time. Silver was historically used for small transactions and $1000-$4000 wouldn’t allow it to be used for that role unless we see significant price inflation. Also, what happened to the old one once of gold equals one good quality suit measure? 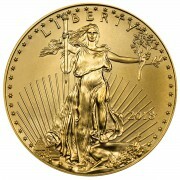 A gold price of $15,000 – $20,000 clearly violates this principle based on today’s consumer prices. I do believe we may see your numbers but just not at today’s buying power. I don’t think I could be more clear – either with this RANT or the 500+ that preceded it, that I am talking about massive inflation. As for the suit analogy, for one there is no immutable law about how much gold buys a suit, but then again if you want what is considered a “good suit” this day, certainly you will pay $1,700. Also, gold prices have been manipulated below their true equilibrium level for years, and consequently inflation expectations reduced, so you can bet there will be a major upward impact on suit prices when the Cartel is broken. That said, it is hard to believe you can read all I write, and see all that is going on in the world, yet limit your “analysis” of gold prices to how much a suit costs. Rest assured, when $15,000-$20,000/oz gold is reached, the price of a suit will be the LAST thing anyone will be worrying about. Here is the confusion for me…You say that with the printing that has already been done (assuming no more printing at all) we would get $15,000-$20,000 gold. So you are saying if the various central banks halt all printing today (I know not gonna happen) we would also get massive price inflation in consumer goods to go along with $15,000+ gold? I am saying the price has been SUPPRESSED for ten years, and will go to $15,000-$20,000 when the Cartel is broken just to meet fair value, and any further printing from here on raises my target price. Your question answers itself. YES we’d have hyperinflation if the Cartel was broken, as the TRUE STATE OF INFLATION would be revealed. The Cartel WILL be broken, and thus hyperinflation WILL occur. That rant was just silver-purified perfection! On our way to a 500-year “rounded bottom” that Hernan would not have been surprised by. Thanks so much, I do my best! One obvious reason for silver low price the past 30 years is the dumping of formerly monetary silver into the supply. I don’t know the numbers, but it must be in the billions of ounces that governments have added to supply once they demonetized the metal. This alone would account for a long, grinding price suppression. However, this also means that the price suppression will end once all that silver is dishoarded, a process that is probably done. Now we are seeing silver play catch-up. This explains the last 30 years as well, or better, than the evil manipulation theories. As fine an analysis as I have seen, and you are likely dead-on with your conclusion. However, illegal PAPER price suppression has been an equal factor. Let’s call it 50/50 for each, and fortunately BOTH negative factors are about to be dissipated forever. I’d like to ask: how will this hyperinflation play out? The most popular hypothesis I hear is that the chinese will dump the US bonds they keep. But the chinese-held US bonds only account for a fraction of US bond reserves. Most of the US bonds are being held by the FED (and the FED buys most of the new bonds also). So how will inflation/hyperinflation occur, if the majority of us bonds aren’t affected (because the FED wont sell them, that is for sure)? Just caught your interview with SGTBull. Great stuff. Haven’t read this rant yet, but it’s next on my list. Keep up the good work. I’m glad you liked it, and peace to you as well! thanks for shedding light on the silver world, with facts, and not speculation. 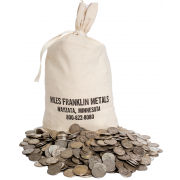 You provide us stackers with the knowledge that what we “think” are the right reasons to stack silver, turn into what we can “know” are the right reasons. we appreciate your hard work. many thanks. hi Andy, great insight in this article but I have a question. When look to the spot silver price in US dollars, I saw that the price was somewhere 1 to 2 dollars in 1900. Your last chart shows 50 dollar however. Is it another kind of metric you are using there? In my RANT, the “ULTIMATE QUADRUPLE TOP BREAKOUT” (Google it), it shows a chart of silver prices in INFLATION-ADJUSTED dollars going back to the 1300s. I’ve been reading you for well over a year but somehow I missed your excellent Quadruple Top article. Thanks for the link in todays rant. Over the last 3 years I have probably seen close to a hundred references to the USGS saying silver will be the first mineral to go extinct. From some well respected people, a couple even more well known than you. I have even used that fact myself when explaining silver to friends. But not once have I seen a link, and when I search the USGS site I don’t find anything. Is it possible this is just an Internet rumor that has been repeated for so long it has become accepted as fact? I’m just curious. I’m currently 80%+ in silver bullion (I will start moving more into gold when the ratio dips below 30 to 1), and I don’t believe anything can stop it from going much much higher. The USGS has never stated that silver production would run out. What some other authors have stated that based on our current level of production and current level of reserves, both of which are reported by the USGS, we will mine out the reserves in X number of years. There are several reasons this is not the case, the major reason is reserves are a moving number. Each year we add more reserves to the number, through exploration and expansion. 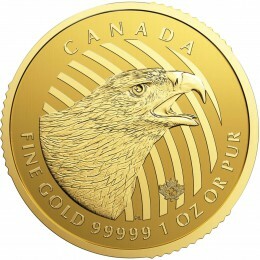 Also reserves are based on economics, the price of silver affects the reserve number. Technology affects the reserve number as mining technologies advance the more reserves grow. So taking the reserve levels and dividing it by production to come up with the number of years left is based on incorrect assumptions. Of course, we both know that due to industrial consumption, the amount of above-ground silver has dwindled from 5 billion ounces a few decades back to just 1 billion ounces today (nearly all of which is stored in vaults, never to see the light of day). Now that industrial applications are EXPLODING (the only commodity with more uses is crude oil), and investment demand doing the same, “effective extinction” is extremely likely in the coming years. That is, ALL available inventory will be used up by a combination of industrial and investment demand, and ALL new production (which has clearly peaked, and not even price elastic as 70% emanates as by product) taken up for same. Surely, you didn’t think info like that would be ALLOWED to remain on the internet.